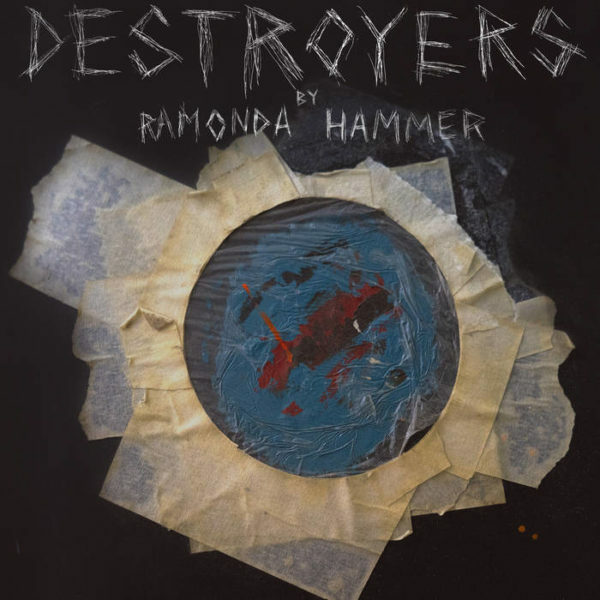 If you’re a fan of grunge music, Los Angeles-based grunge-pop quartet, Ramonda Hammer (whose name originates from a character on the television show, Cheaters), should be a band on your radar. Following the release of the band’s debut record, Whatever That Means, last year, their new EP, Destroyers (New Professor), is a heavy-hitting, 5-song collection full of plenty of attitude from front woman Devin Davis paired with the musical prowess of Andy Hengl, Justin Geter, and Mark Edwards. The quartet wastes no time and delivers raw, melancholy grunge-pop on the opening song and title track. The guitars are reminiscent of some of the best grunge rock bands of the ’90s, while still sounding fresh, in today’s oversaturated music scene. The track opens with heavy guitars and Davis diving head first vocally into the track without looking back. “Bender” is a beautifully chaotic mix of guitar-heaven rock paired with Davis’ emotionally raw vocals and lyrics resulting in a track that goes beyond strictly grunge rock. As with many artists in the music industry, many deal with inter-band relationships, and Ramonda Hammer isn’t excluded from that. Davis and Hengl previously dated, and although they are now exes, the two continue to work together in Ramonda Hammer. Davis wrote the track, “Too Much Too Recently”, to help the pair make sense of life and relationships, and all the small details that surround it. The track is a blend of melancholy, ’90s alternative showcased by both heavy rhythms and melodic guitars, layered over Davis’ raw vocal delivery. Davis sings “it’s over now/well, it’s over for now/and I can’t help but wonder/how many times before” as she contemplates love, life, and relationships, as well as past and future lives. On “Care 2 Slam”, the four-piece delivers another emotionally raw performance characterized by its waves of guitars, from subdued to heavy and back again, and Davis’ ornate ability to channel raw emotion into the song. Though, the guitar-driven four-piece channels, arguably one of the most iconic eras in music, they are able to carve out their own notch in the music scene with their unique musical landscaping, introspective lyricism, and emotionally raw vocals. Ramonda Hammer is a band that successfully tackles the grunge landscape without sounding flat, emotionless, and definitely without blending in.